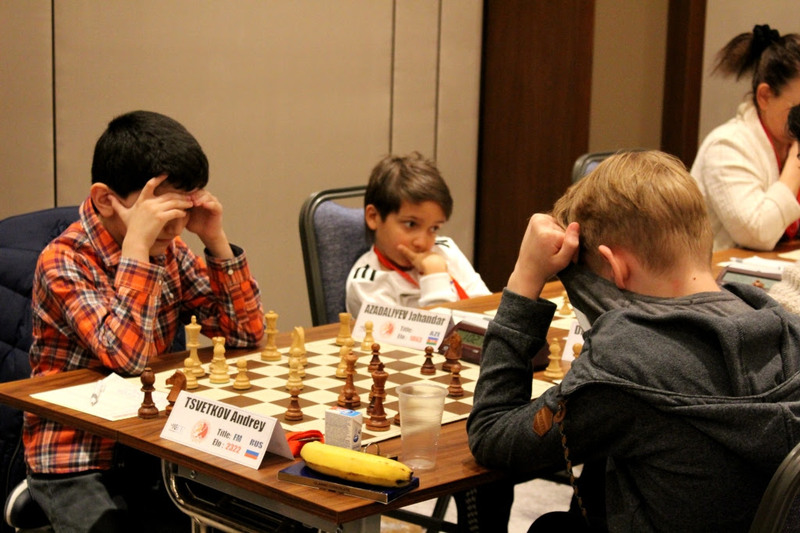 Only three rounds to be played at the 20th European Individual Chess Championship and five players share the top, each with 6.5 points. 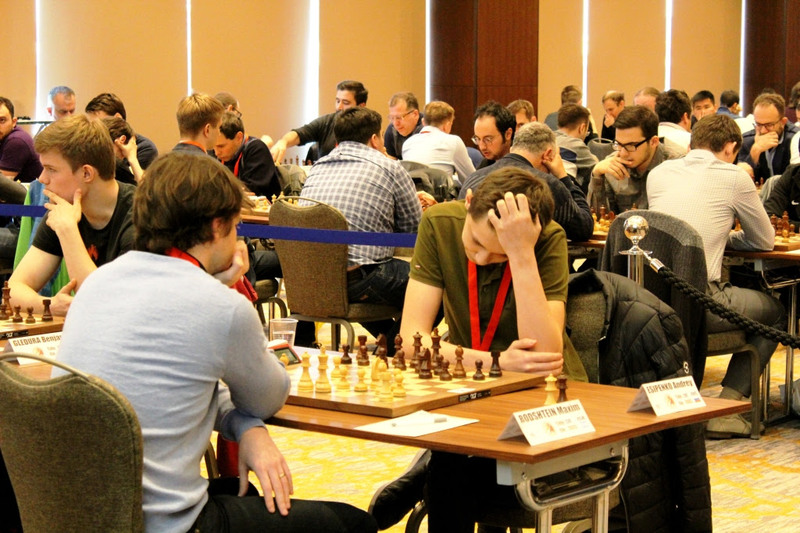 Rodshtein Maxim (ISR, 2673), Piorun Kacper (POL, 2631), Grandelius Nils (SWE, 2694) and Esipenko Andrey (RUS, 2603) maintained the lead from the previous round since they all drew in the leaders encounter. 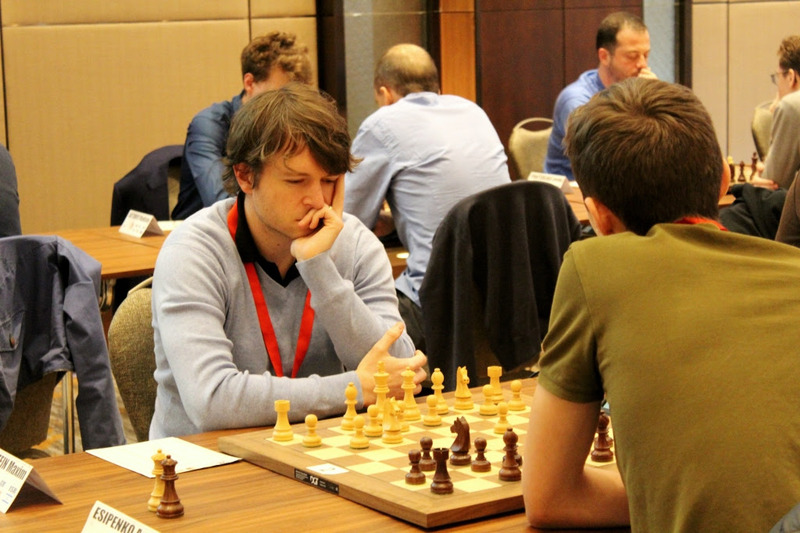 The leading four of the round 7 are joined by the top-seeded Artemiev Vladislav (RUS, 2736), who returns on the top after overwhelming Hracek Zbynek (CZE, 2578) in a Tarrasch variation with the white pieces. 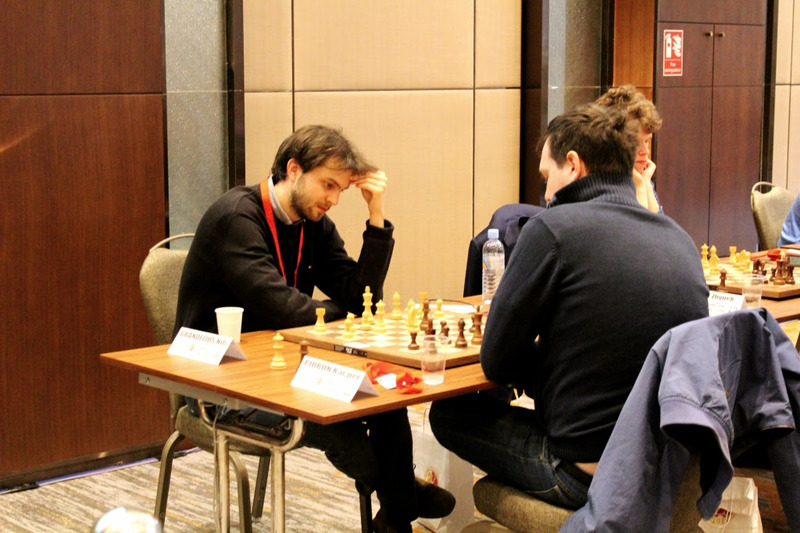 Artemiev attacked the King’s side, and made a touchdown with a Rook sacrifice, and afterwards a Queen sacrifice to mate his opponent. 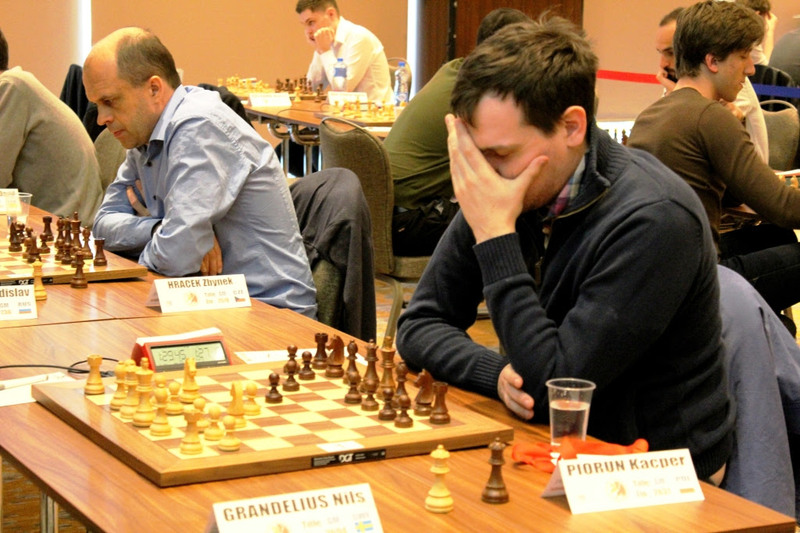 Grandelius Nils and Piorun Kacper played a very interesting game with chances on both sides in a Two Nights Caro-Kann Defense, but at the end, they repeated the position for three times to claim a draw in the 22nd move. 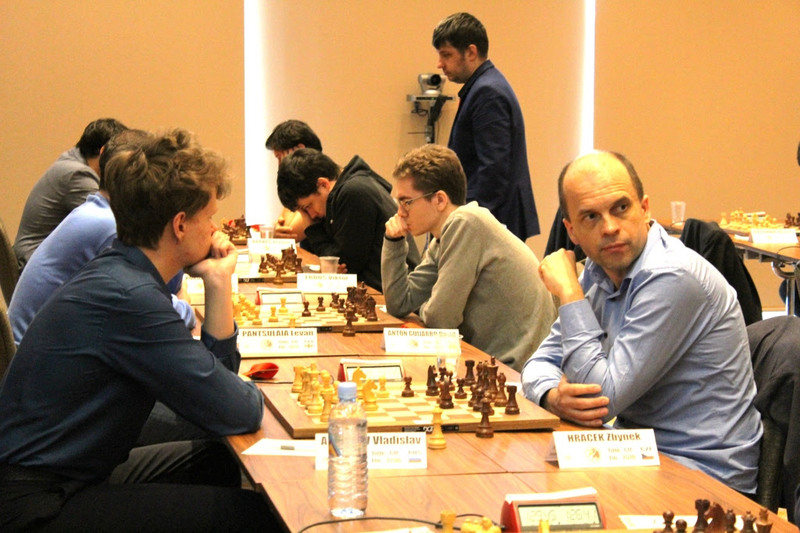 Rodshtein Maxim and Esipenko Andrey agreed on a draw in the 21st move, even though the evaluation of position was in slight favour of Rodshtein who played with whites. 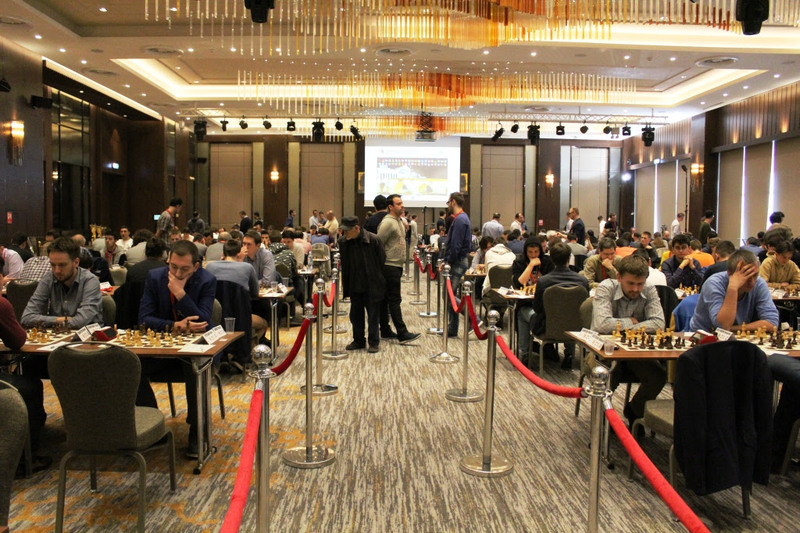 In the round 9, we will follow the clash between Piorun Kacper and Artemiev Vladislav, Esipenko Andrey and Grandelius Nils, and on the third board, Rodshtein Maxim plays with the best-rated runner-up, Korobov Anton (UKR, 2686). Pairings, results and the ranking list after 8 played rounds are available here.